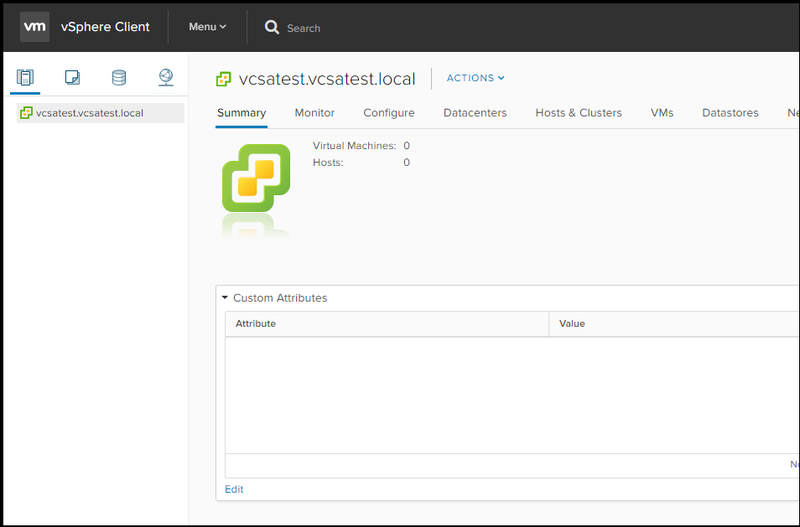 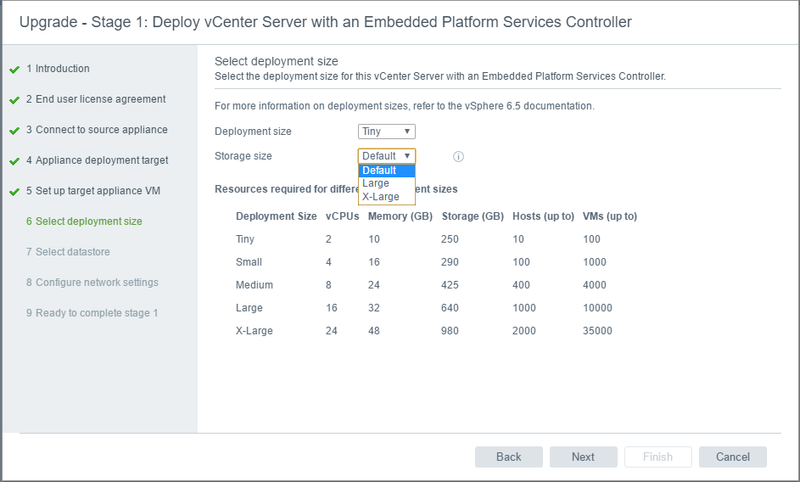 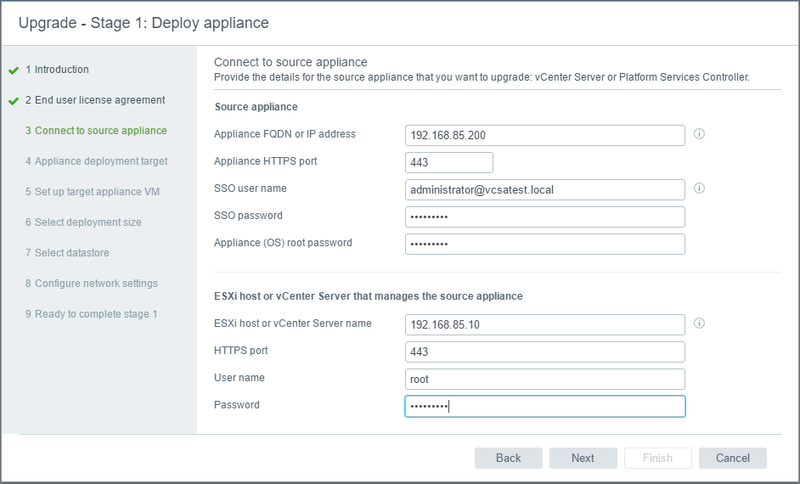 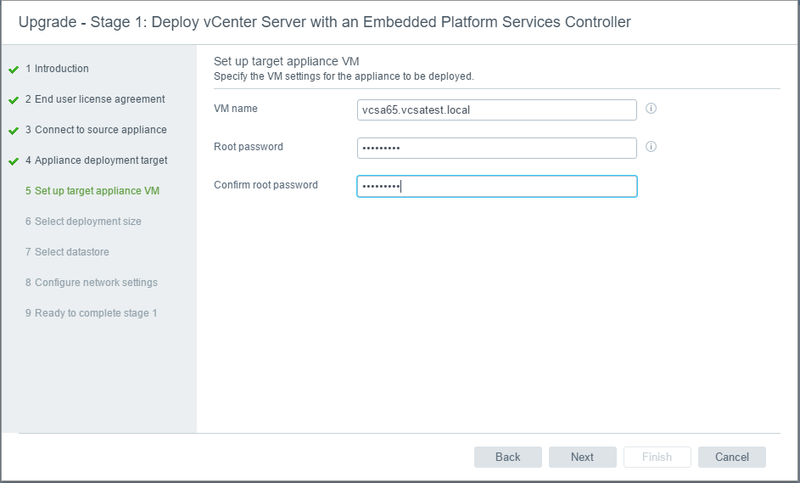 This guide will walk you through the steps to upgrade your vCenter Server Appliance (VCSA) 6.0 to 6.5. 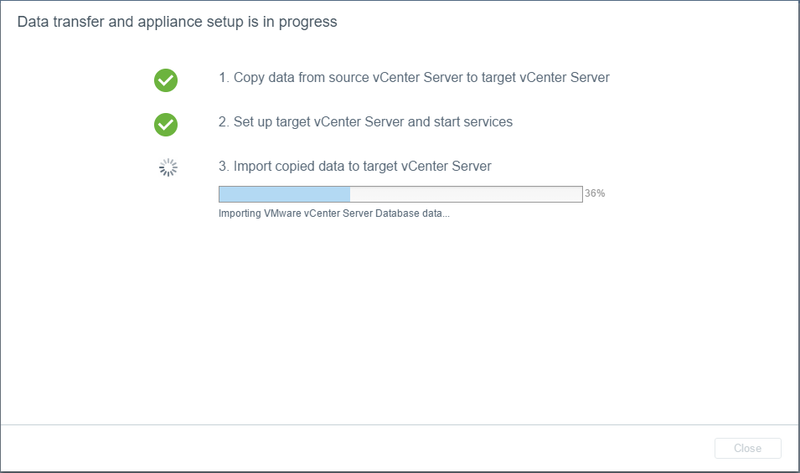 To begin with the upgrade process, you need to download the ISO image from VMware. 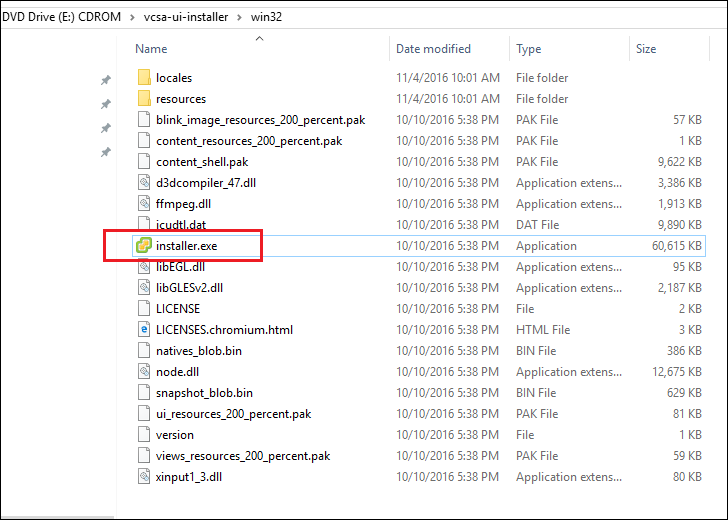 For Windows, under the vcsa-ui-installer\win32 directory double click installer.exe file to initiate the setup wizard. 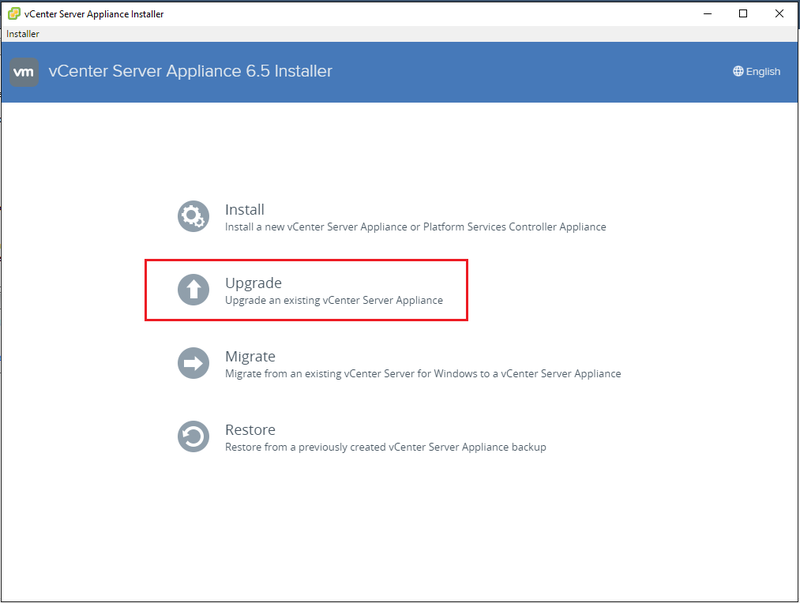 This setup wizard allows you to choose Install, Upgrade, Migrate, or Restore. 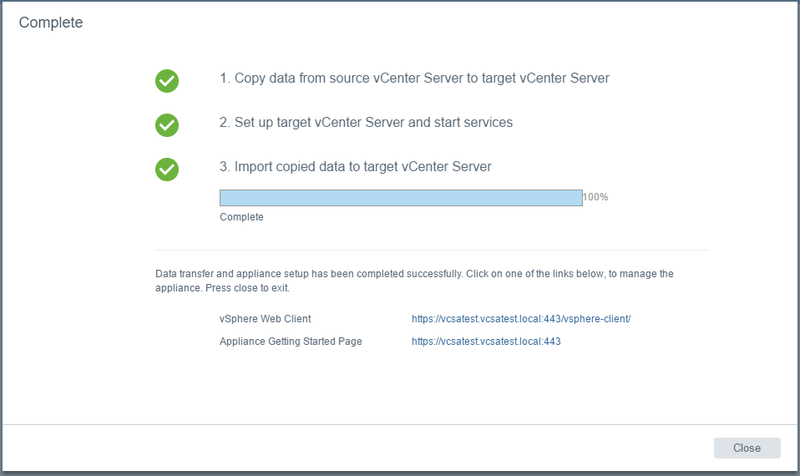 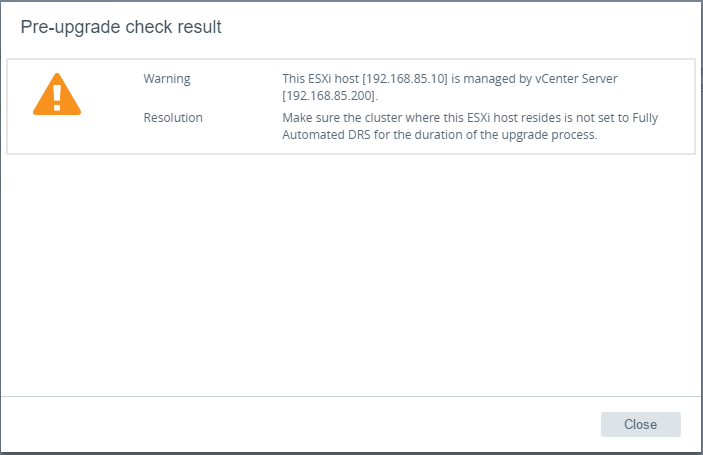 Since, you are upgrading your existing vCenter Appliance, Click Upgrade. 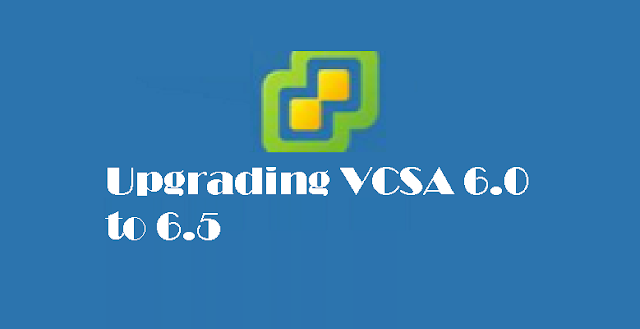 The vCenter 6.5 upgrade is a two stage process. 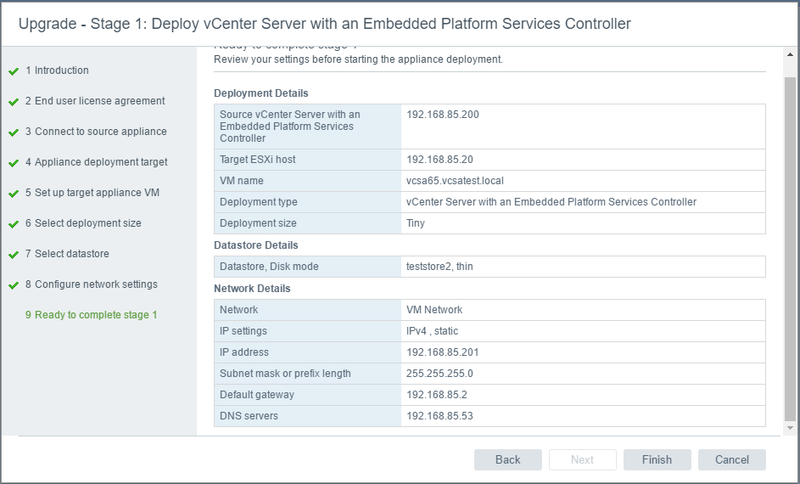 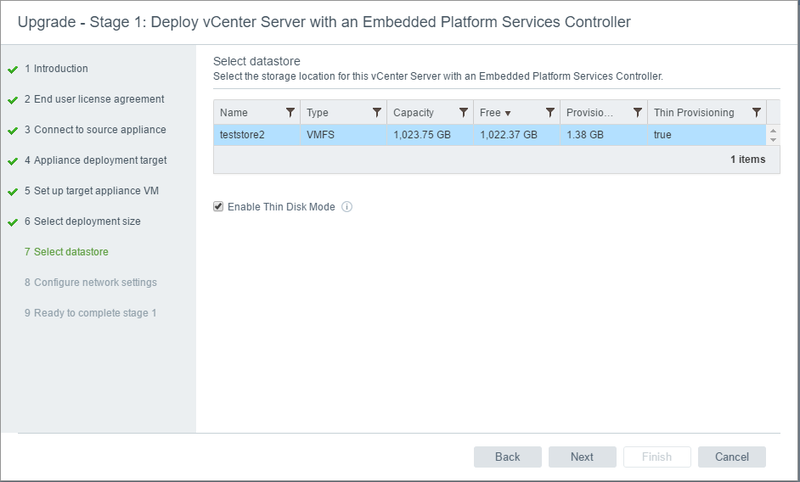 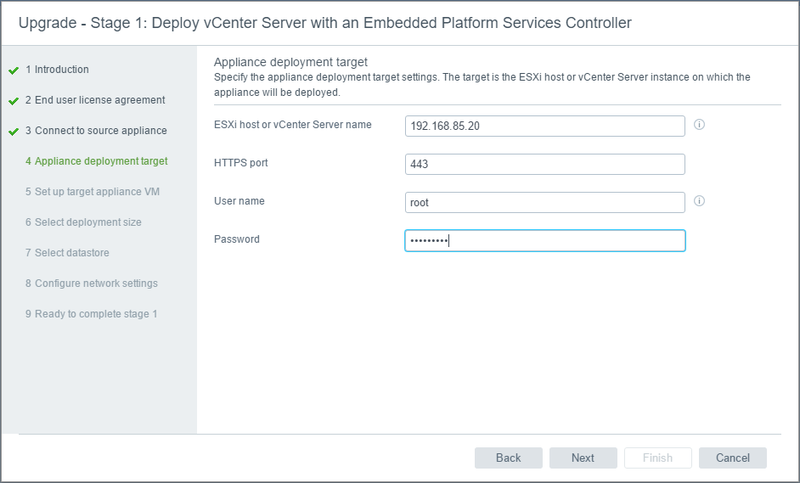 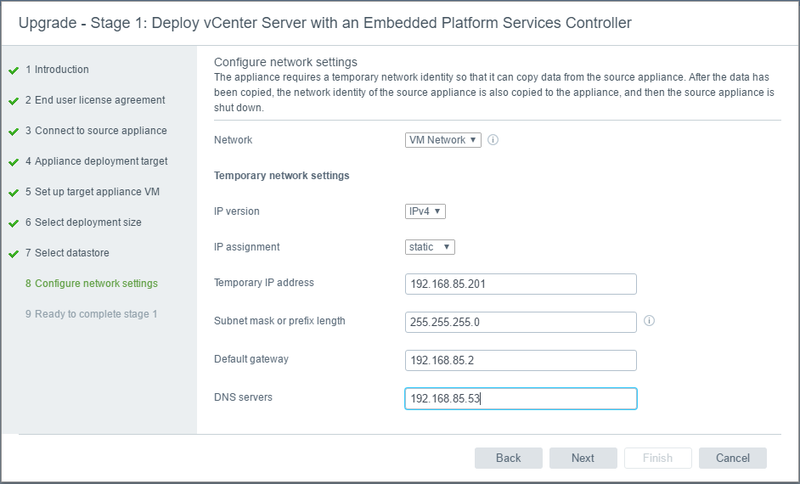 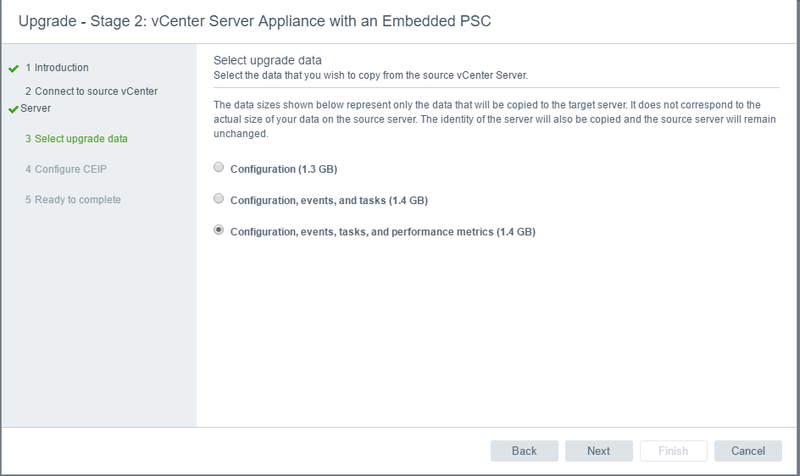 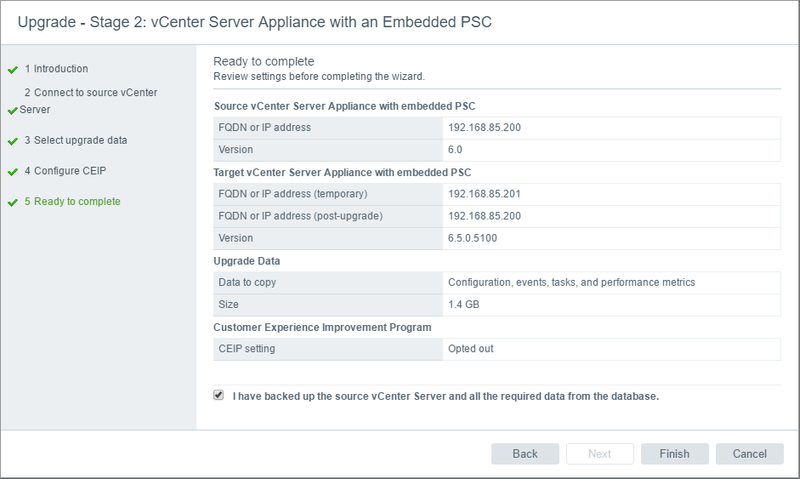 In first stage, a new appliance will be deployed to the target vCenter or ESXi host. 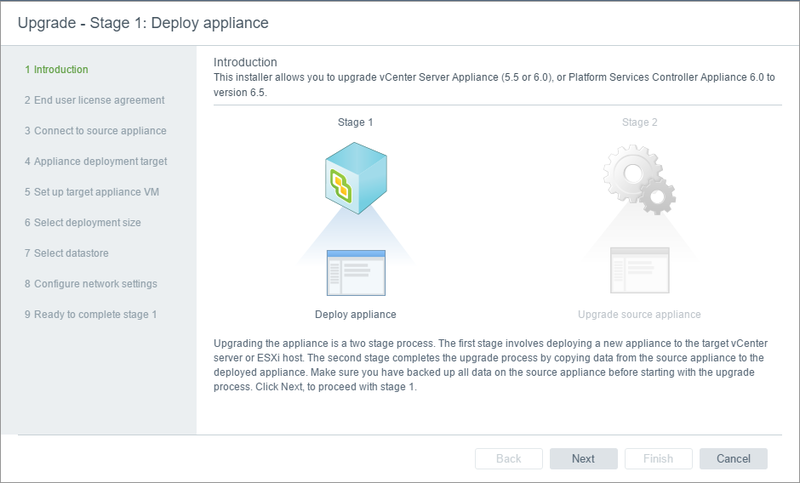 It is recommended practice to create backup of your existing appliance before proceeding to upgrade. 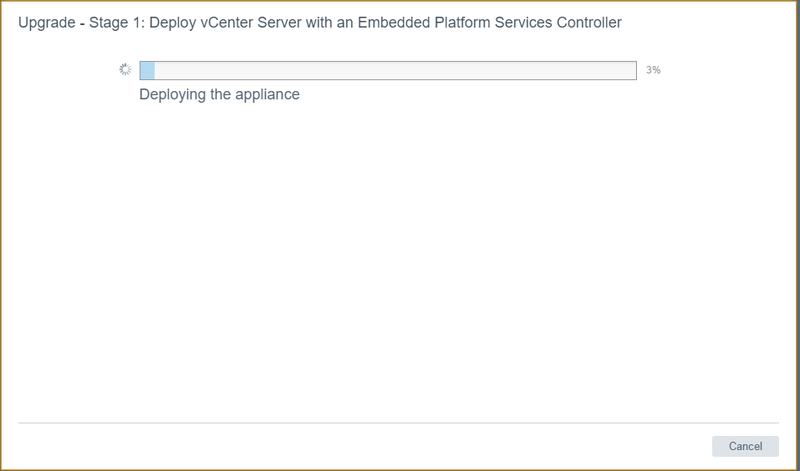 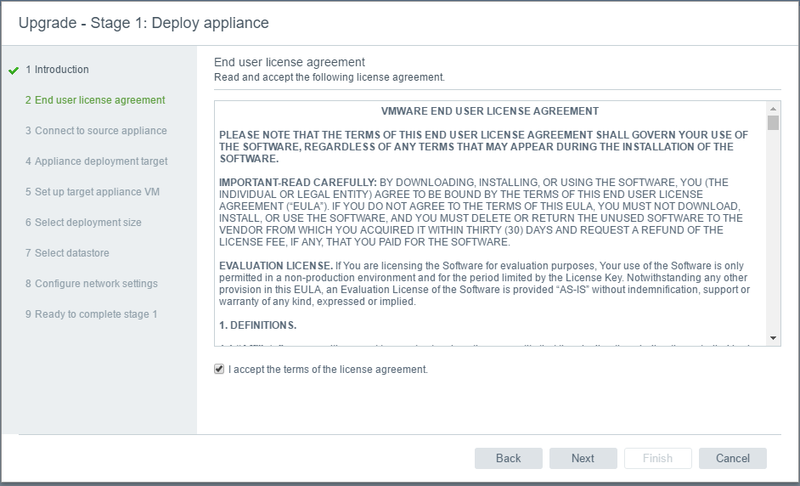 Specify the appliance deployment target settings. 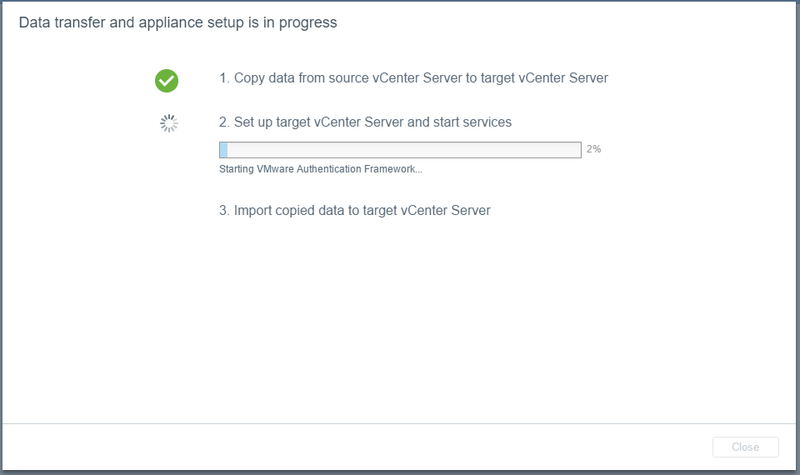 The target can be either ESXi host or vCenter Server instance. 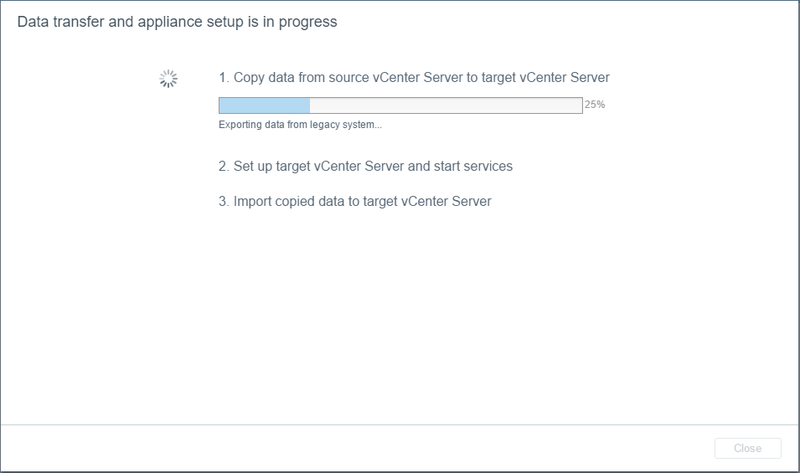 Stage 1 upgrade process started. 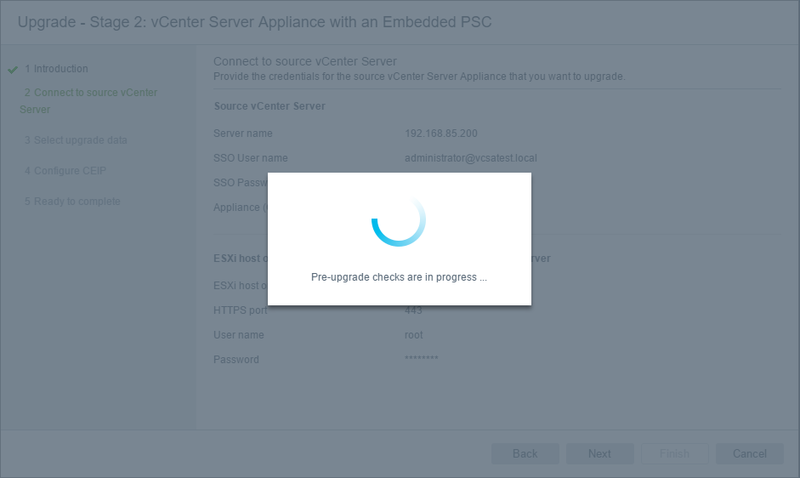 Wait while the pre-upgrade checks are in progress. 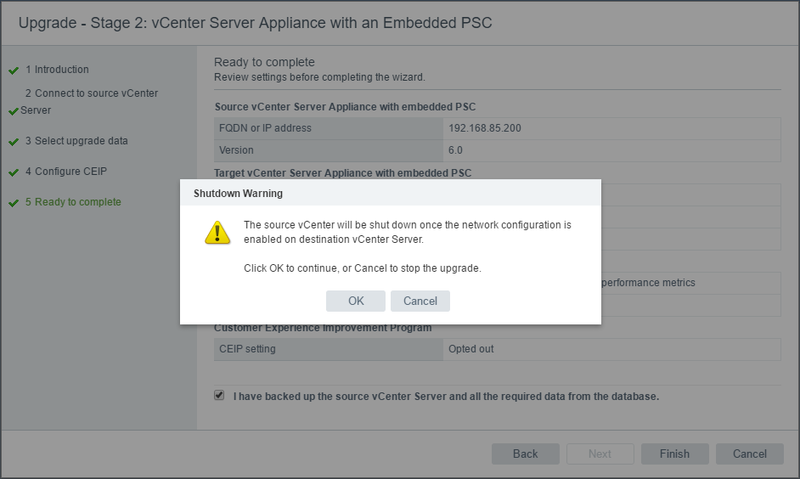 Pre-upgrade check shows a warning and resolution. 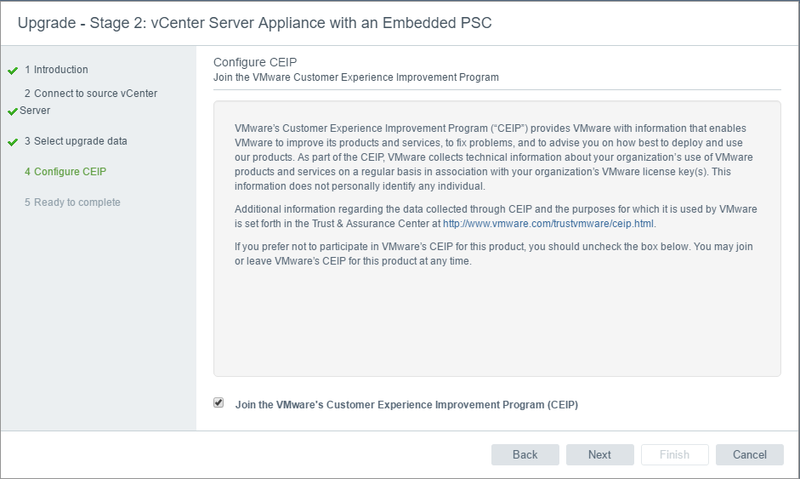 Ensure the following within your environment and Click Close. 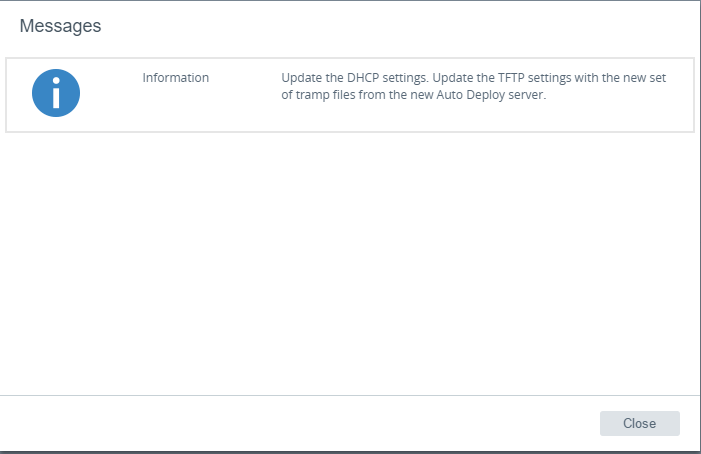 Click to confirm that you have backed up and Click Next to proceed. 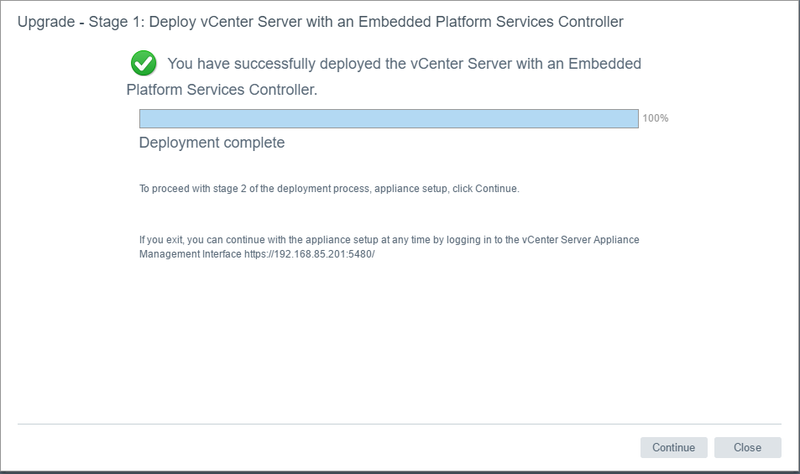 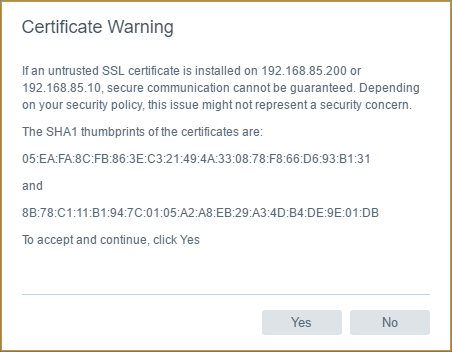 Here you have a warning about your existing vCenter. 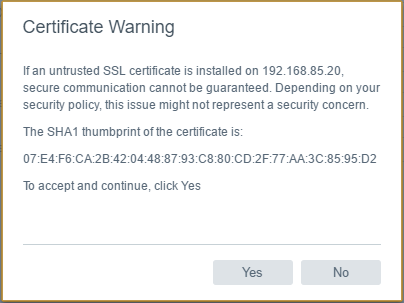 Click OK. 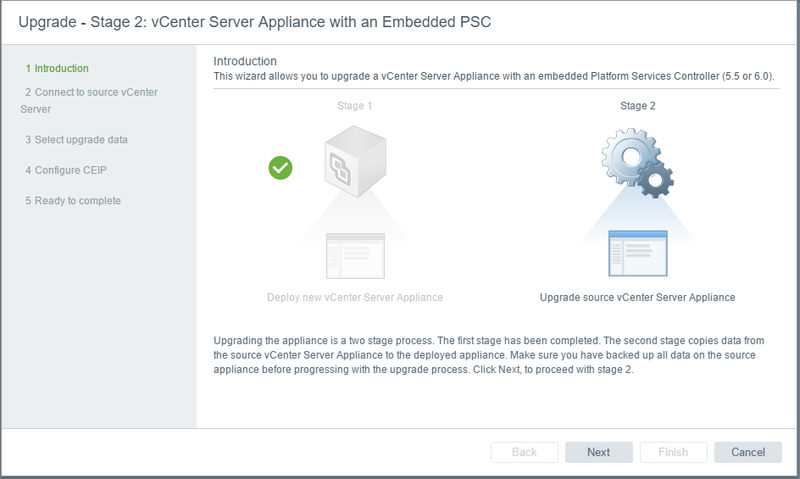 Stage 2 upgrade process completed.